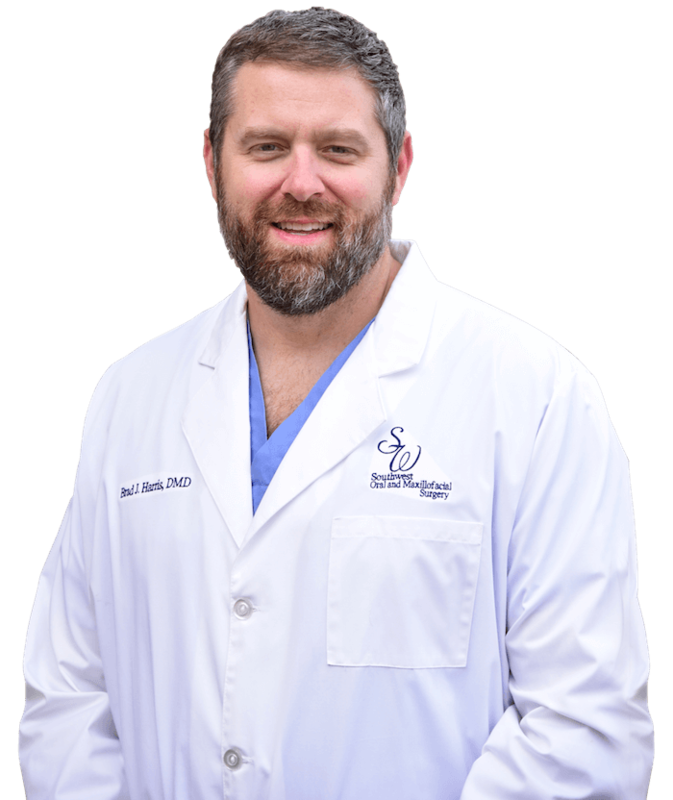 At Southwest Oral, our patients are the highest priority and focus of our staff. If you have any questions, please Contact Us. Maintaining the health of your teeth and improving your appearance can require specific surgical techniques. Jaw and bone health are essential to healthy tooth function. Your oral health is threatened when you delay tooth replacement. Dental implants in Albany, Thomasville, and Tifton provide you a secure, new, permanent tooth replacement. You will be able to eat, chew, and smile confidently with implant treatment. Your wisdom teeth can develop improperly. Assure the health of your surrounding teeth and eliminate mouth pain with wisdom teeth procedures in our Albany, Thomasville, and Tifton surgical office. Teeth that do not develop properly or injury to your jaw or facial area can cause a variety of oral health issues. Facial and jaw surgery in Albany, Thomasville, and Tifton can restore alignment, correct damage from trauma, and help eliminate further problems. Contact our oral surgery office about your tooth, jaw, and mouth issues. Schedule a consultation and examination to discuss surgical procedures to restore your oral health and smile. Your initial consultation and oral examination provide the details of your specific treatment costs. Financing is also available via Lending Club and CareCredit. Dr. Harris has been wonderful both times I’ve been there. Going to the oral surgeon scares me to death and he really helped make it better for me. I’m finally going to have pretty teeth thanks to Dr. Harris. Dr. Harris is awesome & his entire staff. They are really fast & take care of business. I’d recommend him to everyone. I want to say a huge thank you to Dr. Harris. I spent 3 excruciating days in horrible pain and him and his office took it upon themselves to see me and remove my tooth. Not only had I never been there, they also removed it the same day I called without having an appointment. I can finally eat now! Thank you guys sooooo very much!